What Building 429 are doing with this album is something that I think no one has done in recent memory (except for maybe artists like JJ Heller and Cimorelli- correct me if I’m wrong! ), and that is to release an album over the span of several weeks- one song per week. Though the only downside in my mind is that by the time the album is supposed to drop on iTunes or other digital outlets, we’d be ‘less’ excited and ‘less’ anticipated, due to our knowledge of all the songs already. However an album like Live The Journey¸ with lots of musical layers and thematical deep reflective topics explored; I believe will defy this general trend of less excitement as the days progress- in fact, I reckon this album is a must for lovers of CCM, lovers of pop, lovers of Building 429, and for those of us, especially, who have gone through a rough time, or who are going through a rough time, and are wondering whether the journey of life is worth continuing in the first place considering the hardships along the way. And I reckon life in all its facets is worth living the journey- life is full of ups and downs, but I know that God promises to be right there beside us, through it all. 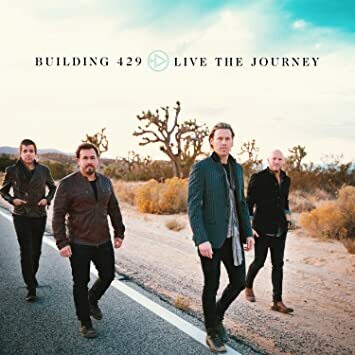 Building 429 has provided us with many a hopeful tune throughout the years and with half the album out already- it’s not too hard to see why Live The Journey will earn a 5/5 in around a month’s time when I ‘officially’ review the album! Though “This Place” unfortunately did not make the cut for the album, there are still other compelling tracks on this album so far (“You Can” and “Assurance” at the moment!) that inspire us to press on and keep going, pushing through the pain barrier even when it’s hard. So as we wait for Jason Roy and his friends to unveil 5 more songs over 5 more weeks to finish up living their journey of making this new album (see what I did there! ), and to encourage us to keep on living our journey, or start living if we haven’t already; why don’t we take a good look at our lives, and ask ourselves if we’re being real with those around us, or are we just living from day to day and putting up a front for others to see? If so, why are we scared? Anyway, maybe this ‘rambling’ about truly living or existing, is for an unnamed Flashback Fridays post or Message Mondays post later on… so let me wrap up if you guys are getting angsty. The bottom line is that you all should listen to Live The Journey as the songs drop. So let’s stop and revisit the first five, alright? Also, maybe re-watch the behind the scenes videos as well!